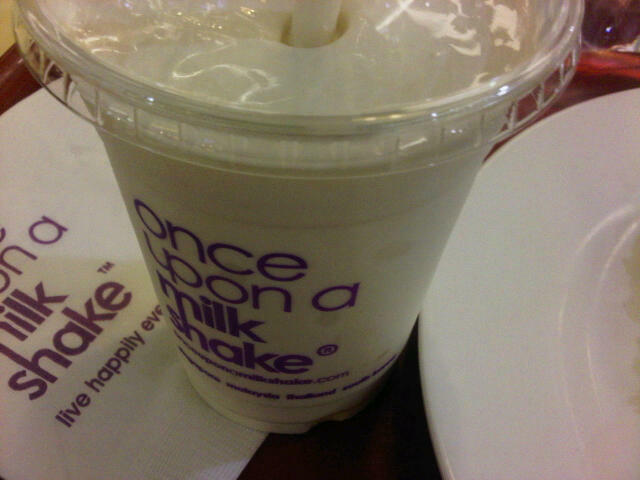 Once Upon A Milkshake, Suria KLCC... again! I went to Once Upon a Milkshake... yet again. My second visit in a week? This time I tried the 'Butter Scotched' flavour. It was RM10.90 for regular. Last time I had the Bubble Gum flavour which was under King's Favorites selection so it was like RM15.90 for regular. It's still very creamy and it took me some time to finish this milkshake.